We’re Gaining a Lot of #WednesdayWisdom During the Siemens Reliable Networking Workshop Today! 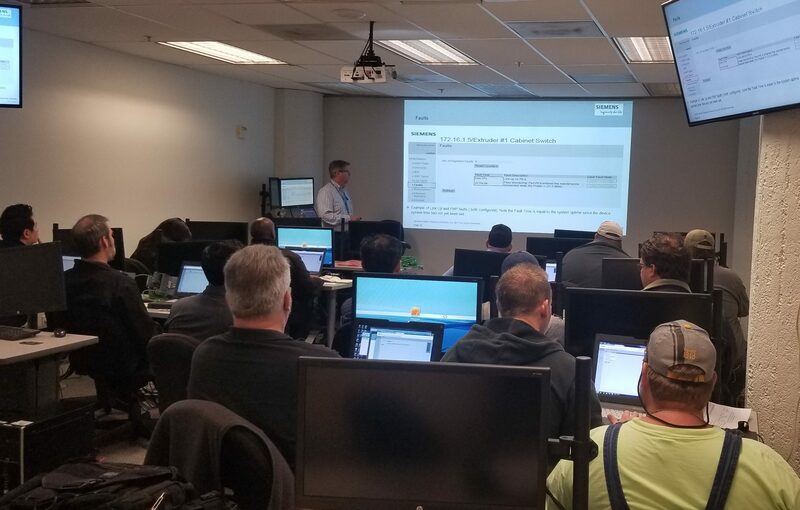 Our attendees are gaining a lot knowledge during the Siemens Reliable Networking Workshop today at our San Francisco training facility with Rick K., Siemens Networking Consultant. Variability and criteria in different network application requirements. Strategies available to increase a network’s reliability. Best practices to mitigate network downtime. Troubleshooting techniques to quickly diagnose a network when a problem does occur. If you are interested in taking this class in the future and you’re company is based in California, contact us for more information.